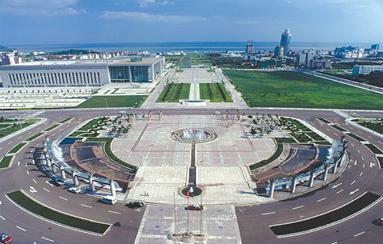 The 5th International Conference on Magnesium (ICM5) will be held during “IUMRS International Conference on Advanced Materials (IUMRS-ICAM2013)” in Qingdao, China, from 24 to 28, September, 2013. As a continuation of the previous successful International Conferences on Magnesium held in IUMRS-ICAM, ICM5 is aimed to promote the understanding, development, use and acceptance of magnesium and its alloys. ICM5 will be supported by the Ministry of Science and Technology of China, China Association for Science and Technology, National Natural Science Foundation of China, Chinese Academy of Sciences and Chinese Academy of Engineering. Due to its low-density and high-specific strength and stiffness, and many attractive characteristics, magnesium alloys are expected to enjoy increasing use in automotive, aerospace, computers, and communication and consumer industries. However, since the global economic crisis and price turmoil in 2008, Mg industry and related activities have experienced hibernation although many encouraging innovations and progresses in Mg smelting technologies, new alloy development, new processing techniques and innovative applications have taken places around the world in recent years. The conference is, therefore, aimed to provide a forum for exchanges and discussions of new ideas and the latest achievements related to magnesium and its alloys. A further objective of the conference is to highlight the global and regional trends crucial to future research fields and potential applications. Primary production technologies, phase transformations, alloy development, mechanical and physical properties, designs and applications, product manufacturing processes, welding and joining, corrosion and surface finishing, application of magnesium and its alloys, recycling and environmental issues, etc.. All accepted papers will be published in SCI or EI journals. Chinese Committee for Magnesium and its Applications (CCMA) is a non-profit academic organization concerned with the advancements of science and technologies in magnesium and its applications, which was approved by the Ministry of Civic Affairs of the Peoples’ Republic of China in 2011. It is only national academic organization in magnesium field in China, and its members consists of famous and distinguished scientists and engineers in magnesium science and engineering in China. The purposes are to promote the development of magnesium science and technologies, to develop the innovation abilities for magnesium enterprises, to publish books and periodicals, to organize national and international conferences and to promote the national and international cooperation in magnesium science and magnesium industry. One of its publications is International Journal of Magnesium and Alloys (IJMA) (by Elsevier).